We have raised £100 in total for the RNIB! We wore dots and raised lots for the RNIB! 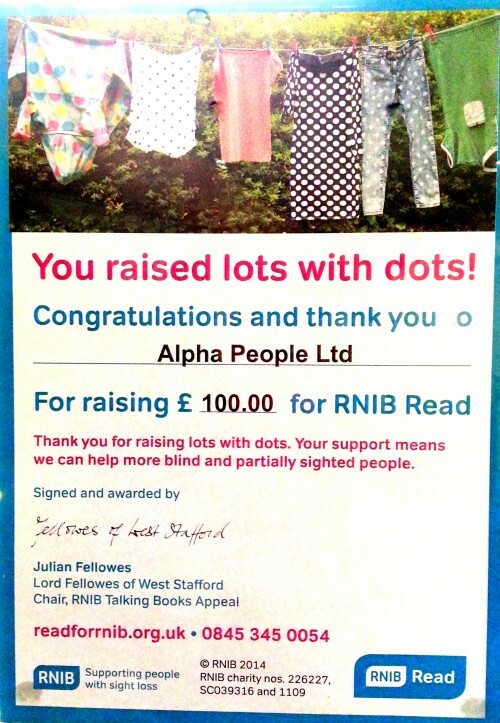 Alpha People recruitment agency would like to thank all our clients and candidates who helped us raise money for RNIB to support blind or partially sighted people in the UK. help 5 people see a sight loss adviser straight after they’ve been told they’re losing their sight. Every day 100 people in the UK start losing their sight.